1. How is water service currently provided to residents of the City of Shoreline? 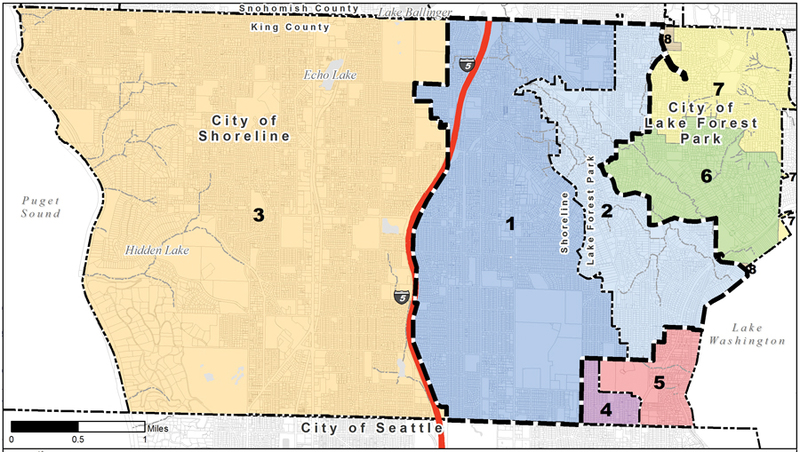 Shoreline Water District is a publicly-owned utility serving residents on the east side of I-5 (blue area 1 in the above map) along with portions of Lake Forest Park (blue area 2). Seattle Public Utilities (SPU) is a city-owned utility serving residents on the west side of I-5 (gold area 3 and purple area 4). 2. Who votes on Proposition 1 in the upcoming election? All registered voters of the City of Shoreline (areas 1, 3 and 4) will be allowed to vote on Proposition 1, although it only addresses water service in the area generally west of I-5 (area 3 on the above map). The citizens of the City of Lake Forest Park (areas 2, 5, 6 and 7) do not get to vote on this Proposition, even though a portion of their citizens reside within Shoreline Water District’s service area (Area 2). 3. How does Proposition 1 affect ratepayers who live in Shoreline Water District’s service area? It is unclear at this time. To date, the City of Shoreline has been using staff and money from the City’s General Fund (your tax dollars) for evaluating the SPU acquisition. Also see #5. 4. If Proposition 1 passes, what will happen to Shoreline Water District’s rates? Shoreline Water District is a separate local government, independent from the City of Shoreline. Thus, the City of Shoreline cannot directly affect the District’s rates. 5. Will Shoreline Water District remain in business if Proposition 1 passes? In 2012, the District and the City of Shoreline signed a Franchise Agreement that includes a non-assumption (non-takeover) clause for 15 years. 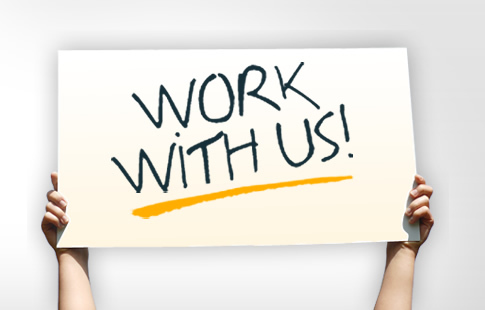 This means that the District will remain independent until at least 2027. 6. Was Shoreline Water District ever asked to own and operate the west side water system? Yes, the City did ask us. In 2001, Shoreline Water District and the City of Shoreline entered into an Interlocal Operating Agreement to work cooperatively on a variety of matters involving water service and policies, including having Shoreline Water District take the lead role in purchasing the SPU water system from the City of Seattle (areas 3, 4 and 5 on the map). In 2003, Shoreline Water District began working toward the purchase of the “west side” water system (area 3), the SE area of Shoreline (area 4), and Lake Forest Park (area 5) from SPU to create one consolidated water utility provider. During the course of negotiations, the City of Seattle decided to ask $55 million for the water system, which Shoreline Water District deemed to be far in excess of the value of the asset. At that point, the City of Shoreline’s City Manager asked Shoreline Water District to discontinue negotiations with the City of Seattle. In 2009, the City of Shoreline began negotiations with the City of Seattle to purchase the SPU water system in Shoreline. In 2011, Shoreline Water District approached the City of Shoreline with a proposal to operate and maintain SPU’s water utility on the west side of the city along with its existing east side system. The City Council “liked the concept of putting services under one roof,” however they did not accept our proposal. 7. Is there another option? Yes. 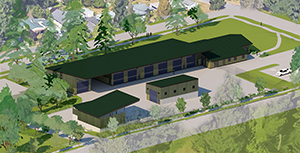 Shoreline Water District and Ronald Wastewater District have offered to merge to form a combined independent utility district in North King County, which could then purchase, maintain and operate the SPU system along with their existing water and sewer systems.